We Drink Your Milkshake! 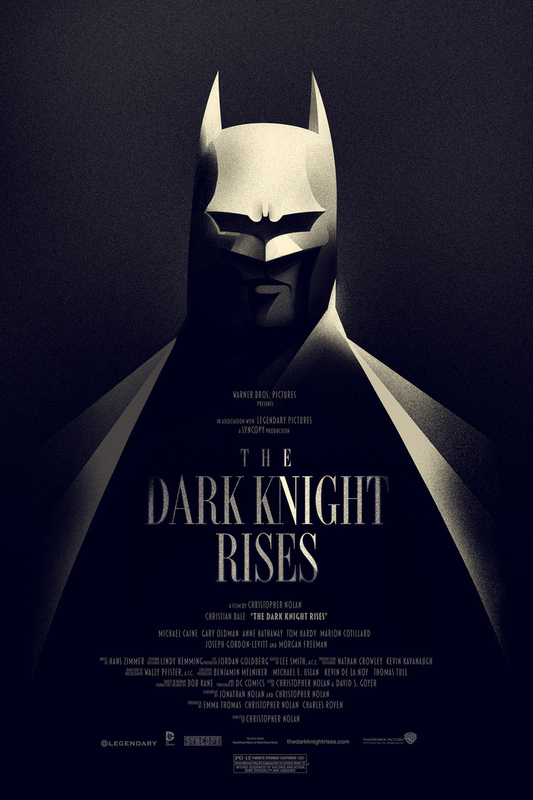 : MONDO Appeases the Whiners and Will be Making an Olly Moss THE DARK KNIGHT RISES Available for 24 Hours! MONDO Appeases the Whiners and Will be Making an Olly Moss THE DARK KNIGHT RISES Available for 24 Hours! As movie nerds that live relatively close to the Alamo Drafthouse, we are big fans of their boutique poster department Mondo. For those that aren't familiar, they release gorgeous prints by contemporary artists and even the legendary Drew Struzan. They always release their posters in very limited quantities at random times of the day. The only way to know when they will be on sale is to follow their Twitter account. Thanks to my own luck and Jonesy's awesome X-mas and birthday presents, I've managed to snag a couple of awesome pieces. The problem that happens every time, especially if you're on Twitter with movie nerds, is how many people ALWAYS complain about not getting one. There is nothing worse than seeing man children bitching about not getting a movie poster online. Mondo posters and their economy are what they are for better or for worse. There will always be more posters that I want than what I will be able to get. Unfortunately, it is what it is. But! The good folks at Mondo have heard the cries. They will be commemorating what will be one of the most popular movies of the year along with one of its most popular artist by releasing the Olly Moss THE DARK KNIGHT RISES print you see above. The catch is that they will be printing as many as are ordered for a full 24 hours. The poster will be $40 and then they will be offering a 180 limited edition varian for $100. This is the closest that you will ever get to having a retail Mondo poster release, so jump on it. The poster will be on sale starting Wednesday, July 18 at 12:01 am CST time and end at 11:59 pm. So follow this link for the original post and don't forget to follow @MondoNews on Twitter for updates.